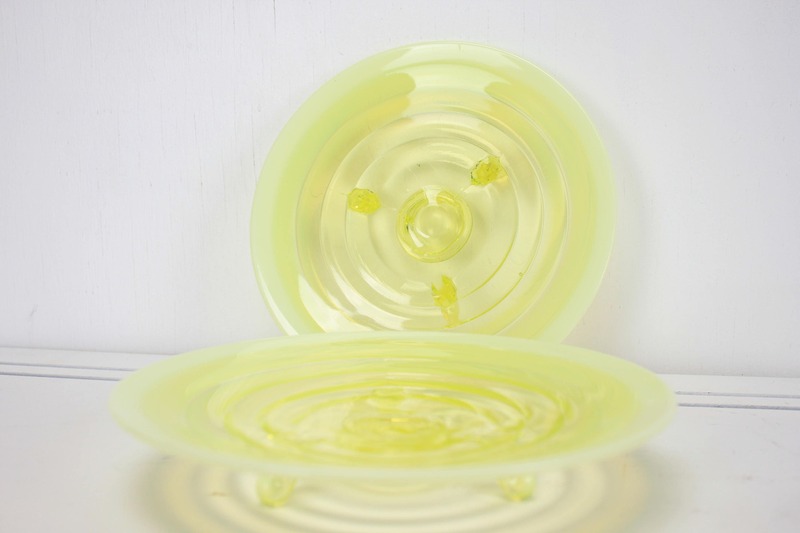 A classic 1930's pair of 3 toed plates from the immortal Fenton! 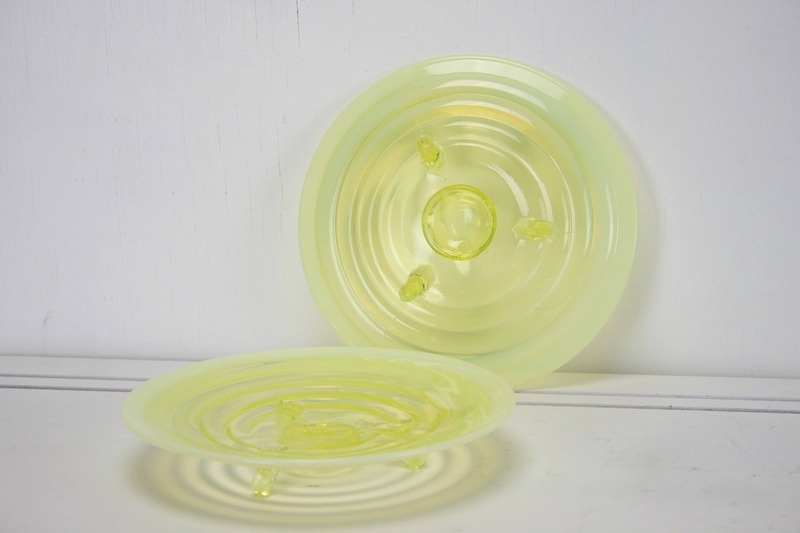 This set of plates features vibrant canary glass coloring with an extremely skillfully blending at the opalescent line. 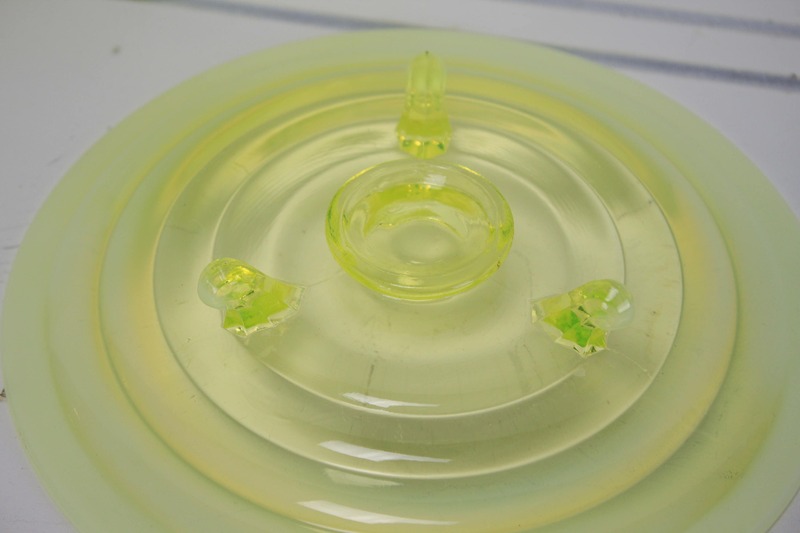 The plates have a glowing green tone that accents the yellows and whites. This quality is hard to capture in photos. 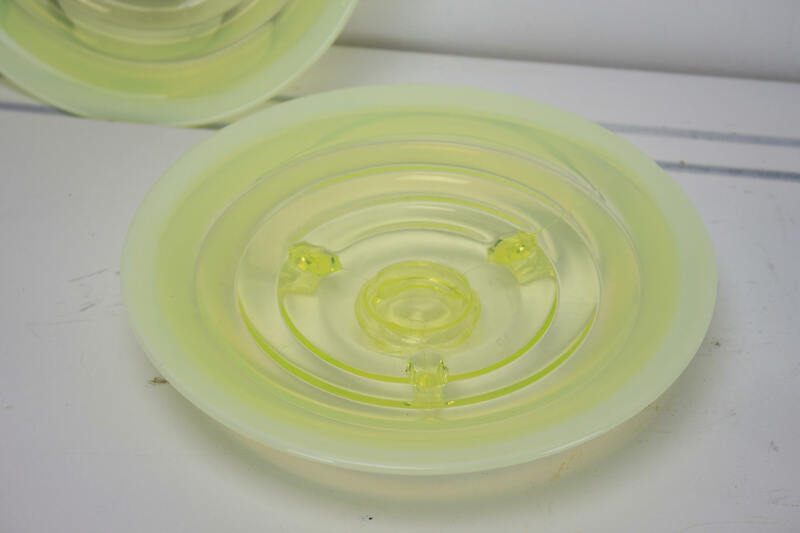 The plates are highly blacklight reactive! These vintage wonders are ready to add some personality to your table!